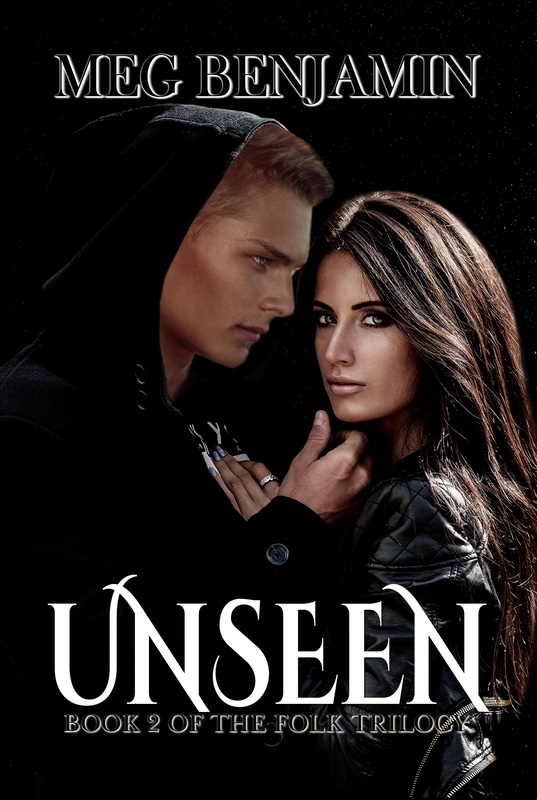 Welcome to the Virtual Book Tour for Unseen by Meg Benjamin! In today’s interview, you’re going to get much more insight into the characters in this book, as well as how she writes her Folk stories. You can also get a sneak peek into the book and then download your own copy. Remember to ask Meg even more questions in the comments area, and then follow the tour for more chances to win the giveaway! My inspiration is sort of two-fold. First, I was doing the second in a series of books about the Folk, descendants of European fairies living in the Rockies. But I was also inspired by the Vinotok Festival in Crested Butte, Colorado. It’s a sort of wild and crazy adaptation of a European fertility festival, complete with stilt walkers and a “grump.” I’ve seen two or three Vinotoks, and it always struck me as a perfect place for supernatural beings to wander around unrecognized in the crowd. So that’s what happens in Unseen. I use Anna Franklin’s Illustrated Encyclopaedia of Fairies for most of my fairy lore, but for the setting and the festival, I used my own experiences and pictures from Crested Butte (although I’ve changed the name to Animas in the book). My supernaturals hang out in a place that’s very real and where I’ve visited several times. I love Prince Bertie, whom I introduced in Book 1, Away. He’s a full-blooded member of the Folk, someone who knows a great deal about his people and their history. But he’s also a prince, which means he’s wealthy and sophisticated. And he’s a natural leader, which means he understands his people and wants to help them. I had a lot of fun getting Bertie’s voice right, as well as his wardrobe. Probably my hero, Teran Richter. He’s someone who’s resisted his Folk heritage because his Seelie father deserted his family. Teran relates more to his mortal mother. He’s a little out of his depth, trying to understand who and what he is and to fit in with both mortal and Folk worlds. I think everybody’s had the experience of feeling like an outsider and trying to figure out the rules of the game. That’s what Teran experiences here. I loved doing the opening scene where two members of the Folk, Teran and Reynard, react to seeing mortals dress up as supernatural creatures. Both of them are a little mystified as to why this is happening, but they have very different reactions to what they see. It gave me a chance to build in descriptions of some of the things I saw at Vinotok. Yes, definitely. The third book in the series, Found, will be published in March 2019. The hero and heroine, as well as some of the secondary characters, were introduced in Away and Unseen. I write contemporary romance as well as paranormal. The Folk series is published by Soul Mate, but I have three contemporary series (Konigsburg, Texas; the Salt Box Trilogy; and Brewing Love) with Entangled. I also have a trilogy of ghost stories, the Ramos Family, with Berkley InterMix. I have other books in the Folk series that I hope to bring out later, and I’m working on more contemporary romance. I’m working my way through several series by Grace Burrowes, Karen Rose, and Eloisa James, among others. I live in Colorado, and I love being outdoors. In the summer, my hubs and I go hiking and in the winter we like to snowshoe. Marika stood silhouetted against the sunset outside the tent. The light danced around her like a nimbus, setting off the dark tints in her hair. Her startling eyes seemed to shift from green to gold. His shoulders felt tight suddenly, heat sliding along his body to his groin. The rush of arousal hit him instantly, taking him to granite hard in the space of a breath. Holy crap, what’s happening to me? He wasn’t the kind of man who got turned on by every random woman he came across. But this wasn’t a random woman. This was Marika, who’d already been stirring in his mind. He had an abrupt image of her sprawled among the sheets, her short hair feathered out around her face, her eyes sleepy with satisfaction, her body a combination of sugar and cream. I’m drunk. I must be drunk. But he gulped more of his beer anyway, without thinking about it. It tasted good. Across the room, Reynard had wrapped an arm around his partner, even though the music stayed fast. She didn’t seem to mind. Teran spun back to Marika. Her cheeks were flushed, a faint film of perspiration slicked across her forehead. Hot. Hot in here. It hadn’t been before, or anyway he hadn’t noticed it. But it was definitely hot now. Meg Benjamin is an award-winning author of romance. Her newest series, the Folk, is a paranormal trilogy set in Colorado. Meg’s Konigsburg series is set in the Texas Hill Country and her Salt Box and Brewing Love trilogies are set in the Colorado Rockies (all are available from Entangled Publishing). Along with contemporary romance, Meg is also the author of the paranormal Ramos Family trilogy from Berkley InterMix. 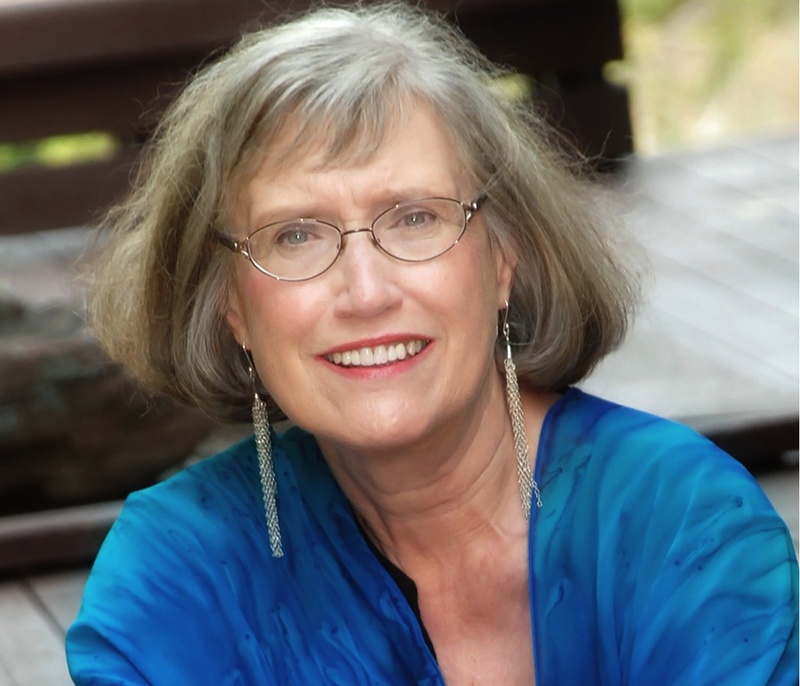 Meg’s books have won numerous awards, including an EPIC Award, a Romantic Times Reviewers’ Choice Award, the Holt Medallion from Virginia Romance Writers, the Beanpot Award from the New England Romance Writers, and the Award of Excellence from Colorado Romance Writers. Meg’s Web site is http://www.MegBenjamin.com. You can follow her on Facebook (http://www.facebook.com/meg.benjamin1), Pinterest (http://pinterest.com/megbenjamin/), Twitter (http://twitter.com/megbenj1) and Instagram (meg_benjamin). Meg loves to hear from readers—contact her at meg@megbenjamin.com. Meg Benjamin will be awarding a $20 Amazon/BN GC to a randomly drawn winner via rafflecopter during the tour. How did you come up for the idea of the cover of the book. Congrats on the release.